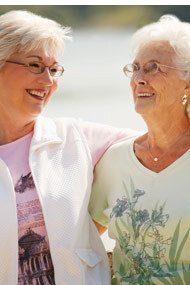 We work with Medicare, managed Medicare and most major insurance companies. The Cognitive Assessment Program (CAP) strives to provide high quality comprehensive neuro-cognitive evaluations to people who experience problems with memory and associated problems with activities of daily living. We are working to become integral members of the treatment teams in the facilities in which we work in order to provide supportive collaboration to the staff and improve the quality of life of the residents. We are attempting to support healthy aging to improve the quality of life in the later stages of development. To provide comprehensive assessment of memory and cognitive functioning. To assess functional daily living skills. To contribute to an accurate diagnosis. To provide education about memory loss and dementia to patients. To provide support and advice about improving memory capabilities and general cognitive functioning. To provide education and support to caregivers. To provide a safety plan as appropriate. To advise about appropriate residential environments. To provide information about cognitive abilities related to driving skills and power chair abilities. To advise about community resources and support. What exactly is CAP and when is referral to CAP warranted? The Cognitive Assessment Program (CAP) is the only Harvest program to provide services to community residents!! In addition to assessing residents in skilled and assisted living facilities, the CAP offers an open community model. We have separate partnerships with many of our facility buildings so that residents from each of their surrounding neighborhoods can be seen within their building. The open model is for cognitive assessment only; we do not provide any other mental health services to community residents. Early identification of dementia and other age-related behavioral health problems is one of the vital components in improving prognosis. If behavioral health problems such as depression, anxiety, and cognitive impairment can be identified early i.e. while residents are still living in their communities, then appropriate support services can be put in place to help that resident remain as independent as they can be for as long as they can be. When left undetected many primary behavioral health problems can lead to exacerbation of physical health problems reducing quality of life and sometimes even life expectancy. CAP open models are our way of helping elders identify behavioral health problems early and thus support healthy aging.